PS10 solar power tower is a 11 MW plant produces electricity with 624 large heliostats. Each of these mirrors has a surface measuring 120 square meters (1,290 square feet) that concentrates the Sun's rays to the top of a 115 meter (377 feet) high tower where a solar receiver and a steam turbine are located. The turbine drives a generator, producing electricity. 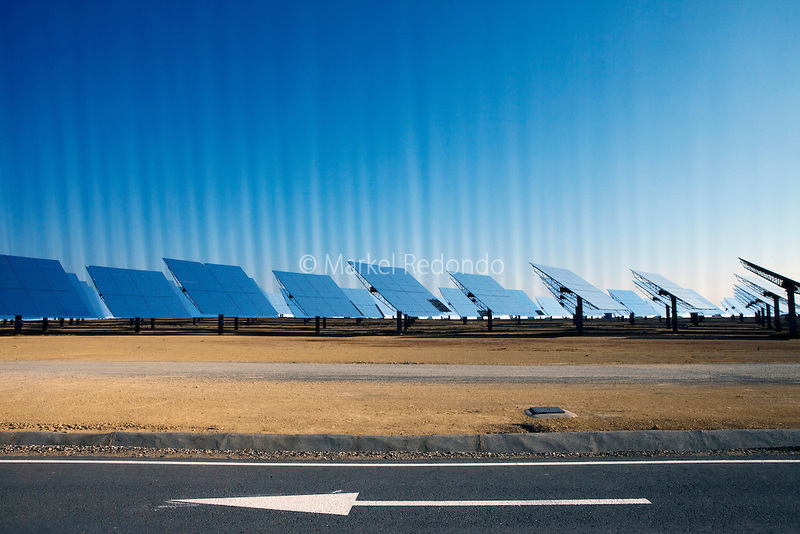 It is located in Sanlucar la Mayor, near Seville, and it is owned by Abengoa Solar.